I pledge to finish painting my Shadespire warband! 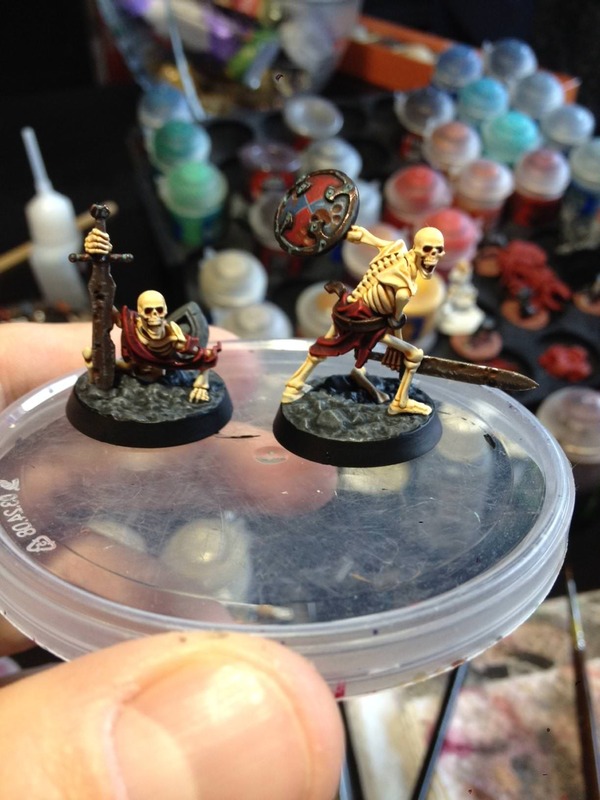 I pledge to finish painting my Shadespire warband "The Sepulchral Guard". Pledge failed! 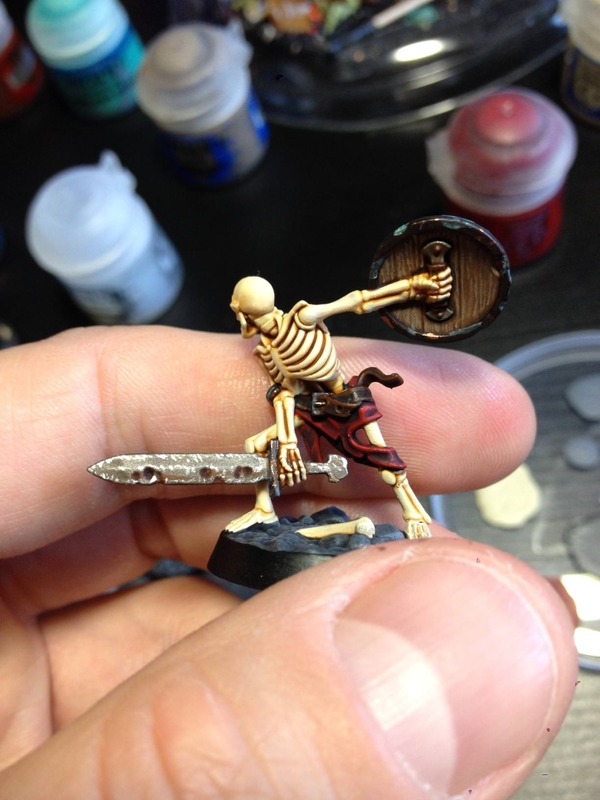 I finished one more skeleton though... still have the leader of the warband left to paint. Congrats on your win (at least I guess you've won?)! It's always cool to see a completly painted up army in a match! 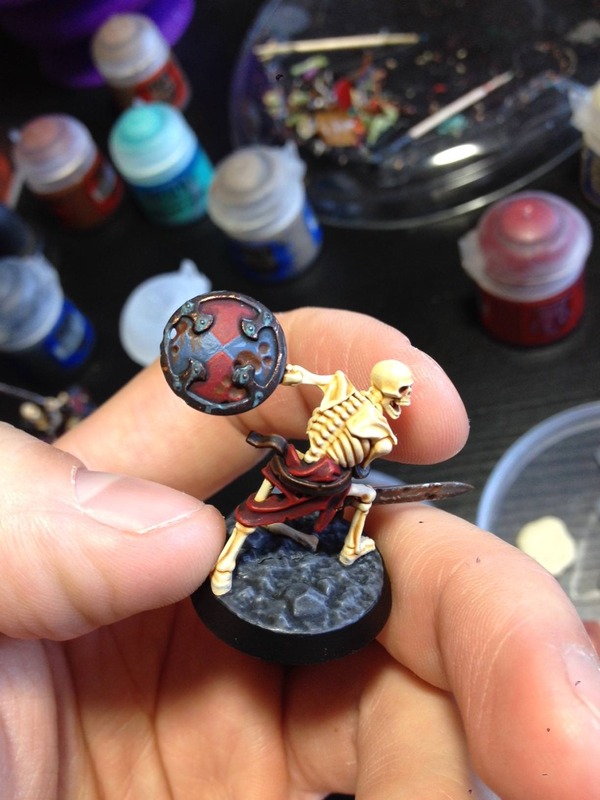 I pledge to finish at least one skeleton from my Shadespire warband! And still so many days left! I might even finish one or two more of them! Topic: Prime white over Black? Re: Prime white over Black? I'd soak it in sanitizer from the pharmacy for a few minutes and scrub it off with a toothbrush. Very cool Cypher! I really envy you for attending the course! I pledge to finish my Scribbus Wretch except for the nurgling! That would surely make for some nice "Kill Team" terrain, wouldn't it? Cool idea and neat execution of it!